my reports on it – we needed a change. And it turned out to be a good decision! I was such a big fan of ski vacations in Austria that I did not notice the developments going on in my home country in this respect. 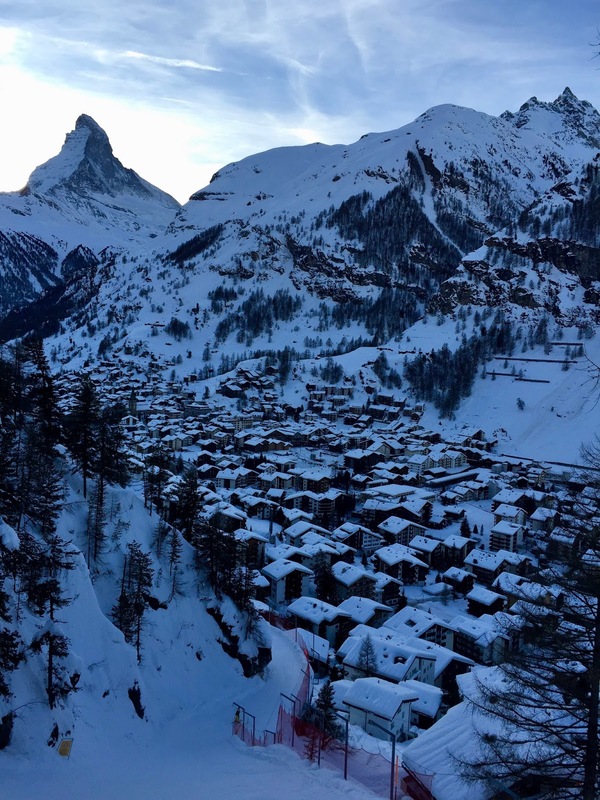 Everyone around us kept raving about skiing vacation in Zermatt. 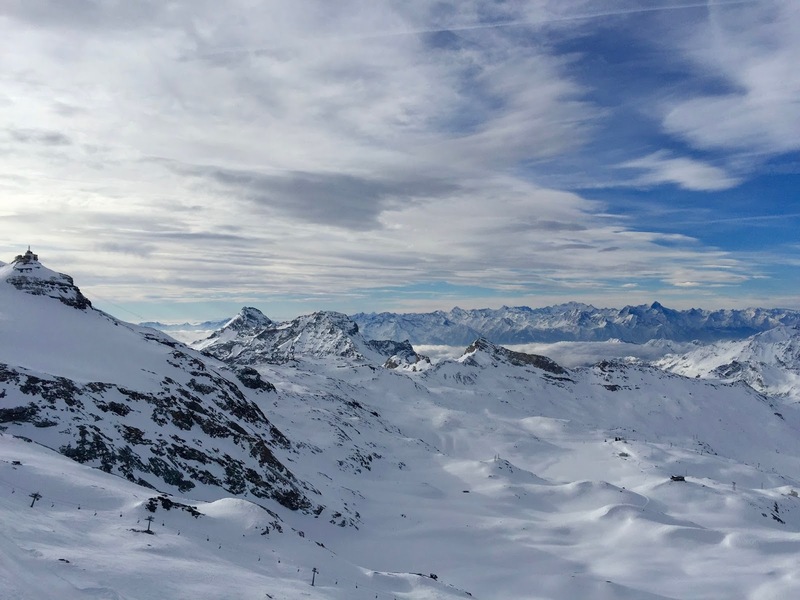 We were told that this place has it all: best ski resort ever, stunning views of Switzerland’s most famous mountain, charming Alpine village, no cars policy, gourmet hot-spot (village and on the slopes) … So, we set off to discover this ski paradise in the Swiss Alps. 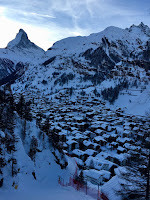 The village of Zermatt is indeed an enchanting one. 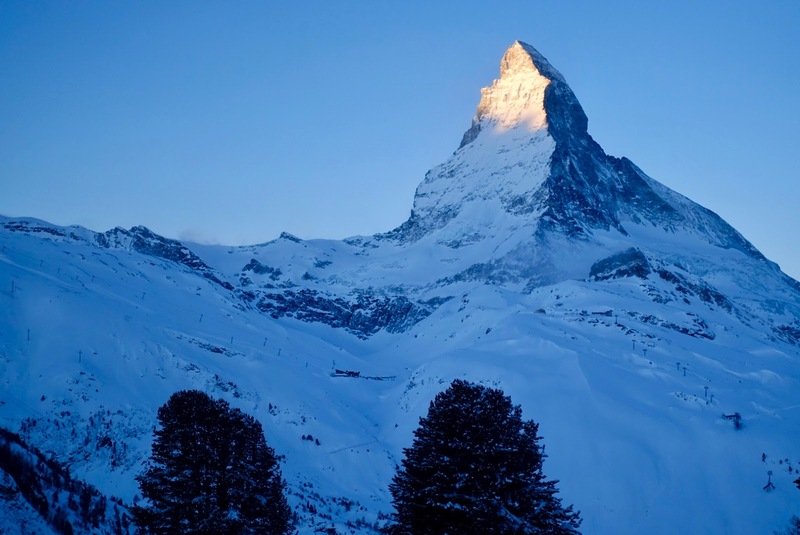 It is situated at the foot of the majestic Matterhorn, the best-known mountain in Switzerland if not in Europe. Its symmetric pyramid shape does not cease to captivate people, be it nature lovers or not. The town is car-free, there are only tiny electric vehicles or – if you fancy them – horse-drawn sleighs. The main street is lined with shops, hotels and restaurants for all needs. If you are into après-ski, this is the place to go. When it comes to skiing, the ski area leaves no wishes unfulfilled. 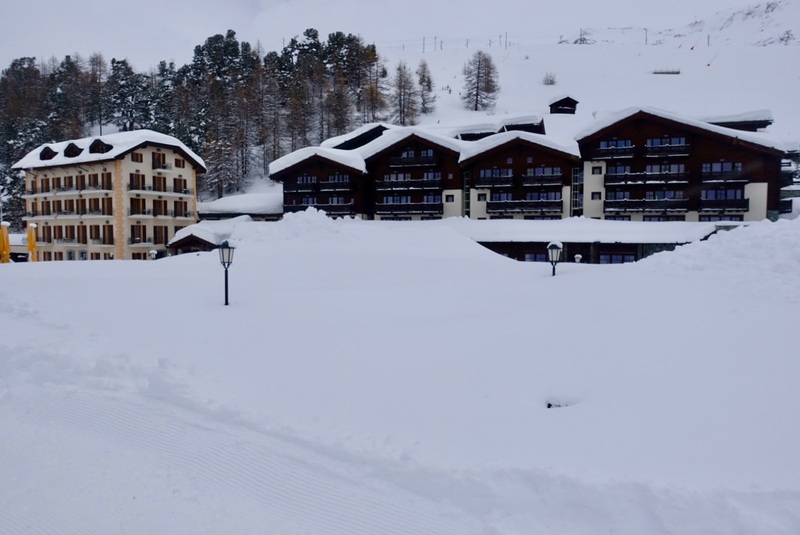 It is one of the world’s biggest ski resorts, crossing the Swiss border to the Italian resort of Cervinia and Valtournenche. It has 360 kilometers (224 miles) of run in different ski areas, which are all linked together, and you can ski up to over 3,000 meters (10,000 feet). And all this against the backdrop of a mountain scenery second to none, surrounded by some of the Alp’s highest peaks. You are also welcome here as a non-skier. There are different mountain experiences to undertake, e.g. to the Gornergrat with Europe’s highest open-air cog railway or to the Matterhorn glacier paradise where the highest cable car station in Europe can be found (3,883 meters/12,740 feet). In addition, there are a wide range of winter hiking paths and snowshoe trails at your disposal. 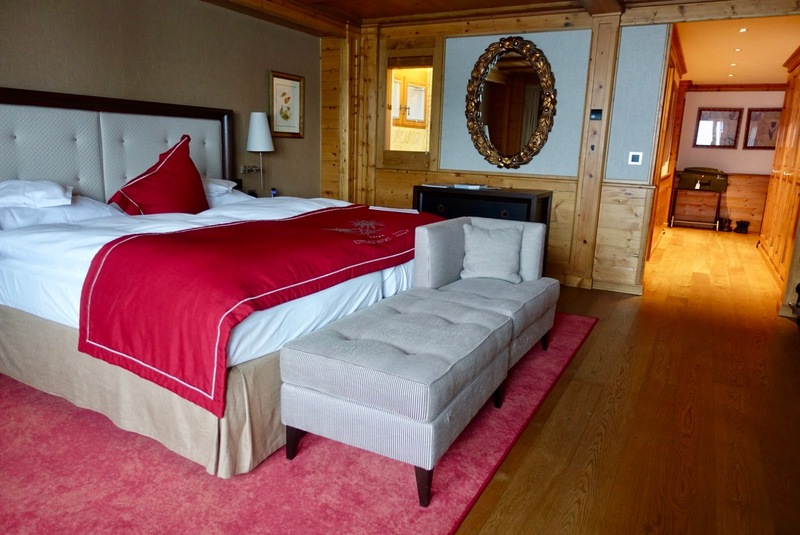 When it comes to hotels for skiing, we are very much into ones offering ski-in/ski-out. 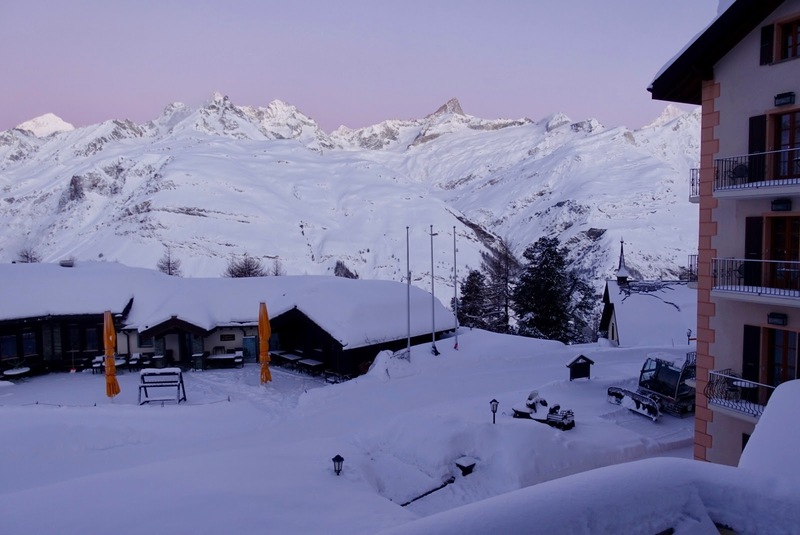 And for this, the Riffelalp Resort 2222m is the perfect choice in Zermatt! In addition, it has everything discerning travelers looks for: a great location, perfect facilities, awesome food, a pleasant ambiance and last but not least amazing staff. 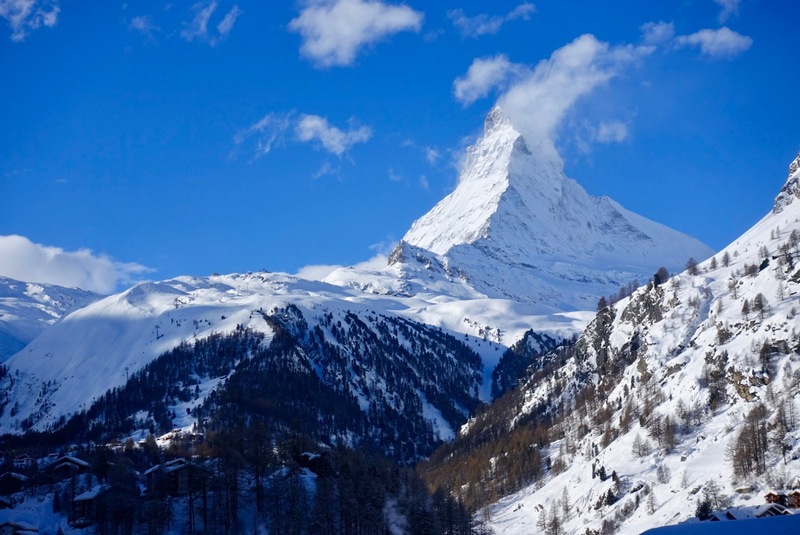 While the town of Zermatt is situated at around 1,600 meters (5,250 feet) above sea level, the hotel is located at an altitude of 2,222 meters (7,290 feet). This means that you have to take the Gornergrat Bahn to get here. While the transport is perfectly organized by the hotel’s staff, it is some time needed to get here. Furthermore, it has to be taken into account that the location is somewhat remote, in any case nothing for party-goers. In return, the setting is spectacular, with tremendous views of the Matterhorn, you never get tired of gazing at this iconic mountain. Beyond that, you experience here absolute tranquility, it is the perfect place to really get away. And as mentioned before, it is directly located on the slopes! The hotel’s facilities are all top notch as it was renovated thoroughly in 2016. The rooms have been refurbished to a very high standard in a traditional style but not too much so. Many rooms have balconies and offer dramatic views of the Matterhorn. 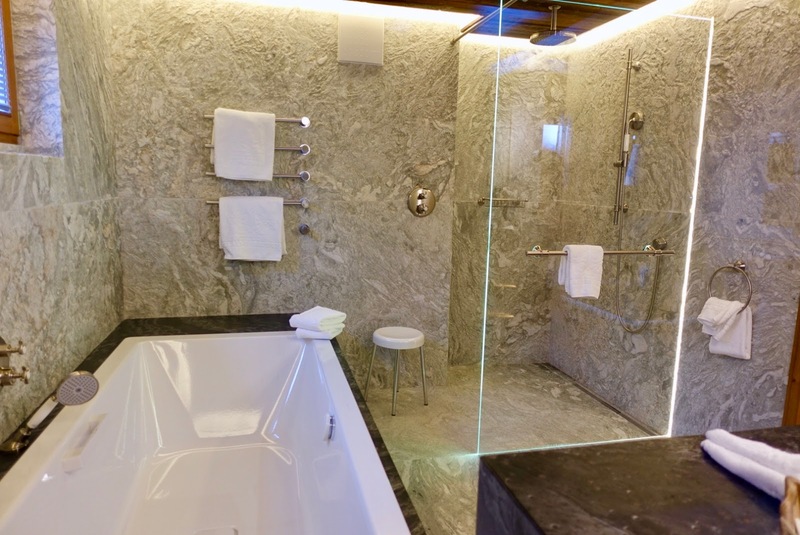 The bathrooms are gorgeous, featuring walls and ceilings made of a light-grey stone, a great walk-in shower and a large bathtub. The spa is great, with an indoor pool, a relaxation area with a fireplace, a large outdoor whirlpool with – again – dramatic views of Switzerland’s most famous mountain and an amazing wet area. an elegant restaurant with international cuisine; I especially liked their delicious pasta dishes and the outstanding Friday dessert buffet! Alternatively, you can have dinner at Al Bosco right across the hotel in a separate building where you can choose from a small yet well-composed menu. In case you want to try typical Swiss specialties like fondue and raclette, you can do this at the Walliserkeller. In terms of service, I was impressed by the high level of hospitality experienced at the Riffelalp. The manager, Hans-Joerg Walther, takes his time to chat with his guests every now and then, but the other staff also scores well. Throughout our stay, we very much appreciated the gracious attitude from everyone with whom we interacted! 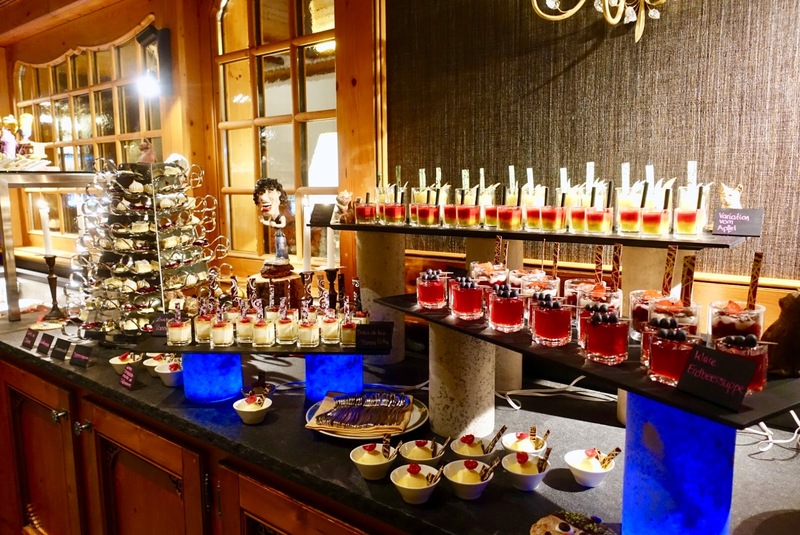 If you are a skier and a gourmet and want to combine both, then I cannot imagine a better place to enjoy both things than Zermatt! A friend of mine who is a proven connoisseur of the local mountain restaurant scene informed me of recommended places to go. Here you can find a map with all her tips. meaning that skiing opportunities were limited at certain times. Nevertheless, I enjoyed my visits to following mountain restaurants very much and I will save the other ones for a next visit! Book ahead as the popular spots fill up quickly. 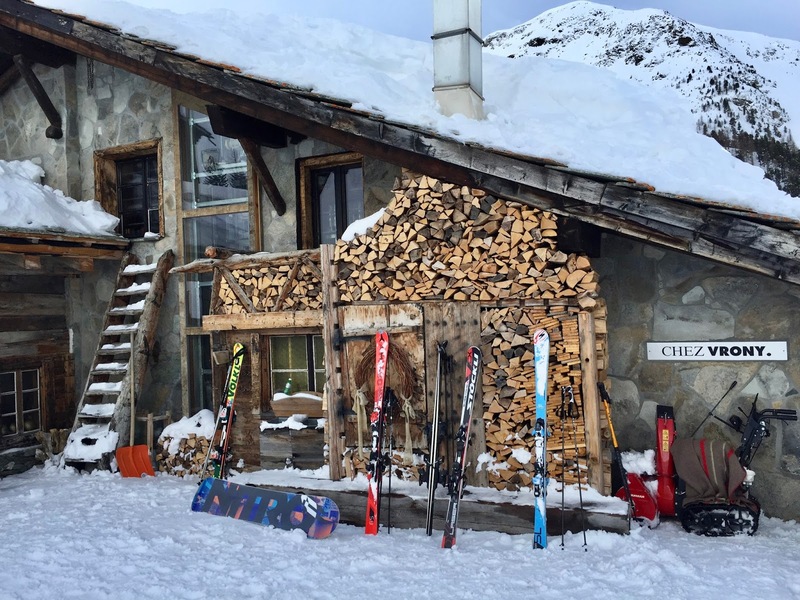 This nicely furnished and perfectly organized mountain restaurant made a lasting impression on me. Not only was the food very good and inventive, but I found here hospitality at its best. Do not miss the opportunity to have lunch at this hip place. 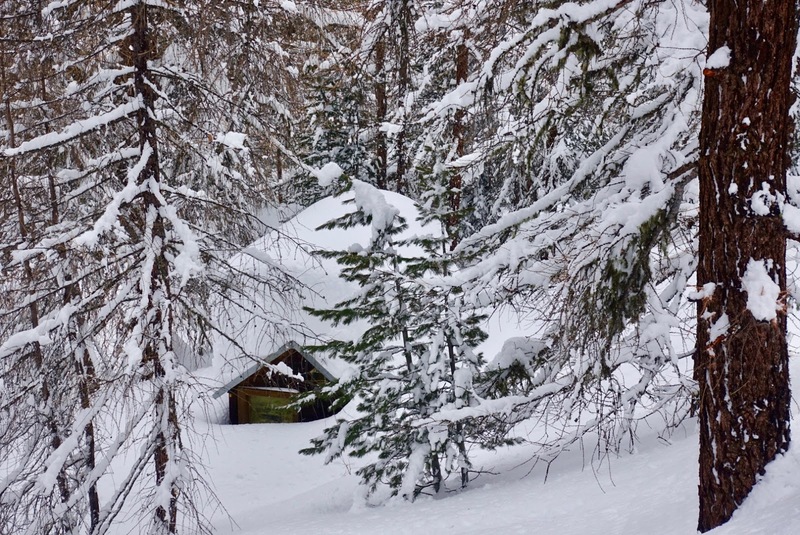 This cozily decorated mountain hut is located near Chez Vroni and also features an exquisite cuisine and gracious staff. 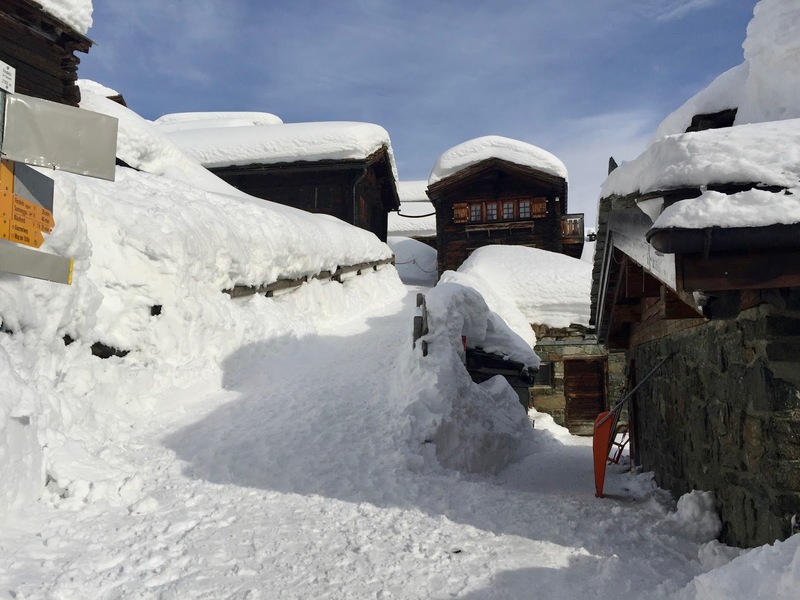 You cannot ski directly to the restaurant, but you have to walk a bit through a tiny Alpine village, which is a nice thing to do! 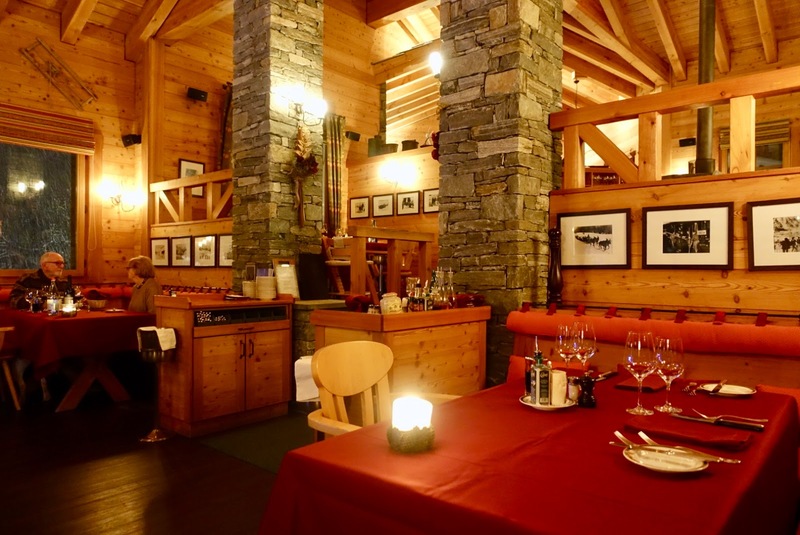 This restaurant is part of the Riffelalp Hotel and offers well-made Italian food in a pleasant atmosphere. Staff is knowledgeable and accommodative likewise. 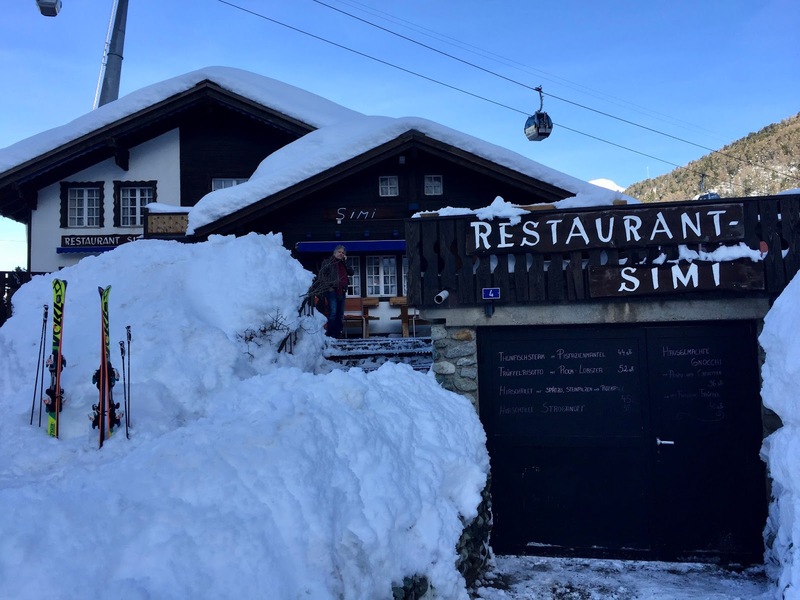 This restaurant is not directly located on the slopes, but can still be reached on skis (just take the foot path for some meters). It is a place with rustic charme where you can enjoy good food from a varied menu in a casual setting. Service is warm and attentive. 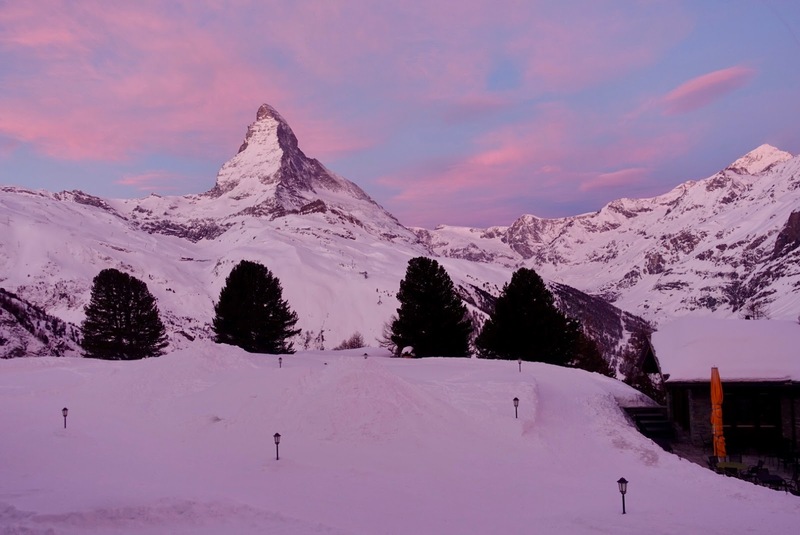 Zermatt’s is a ski resort that is hardly to beat in terms of skiing opportunities. 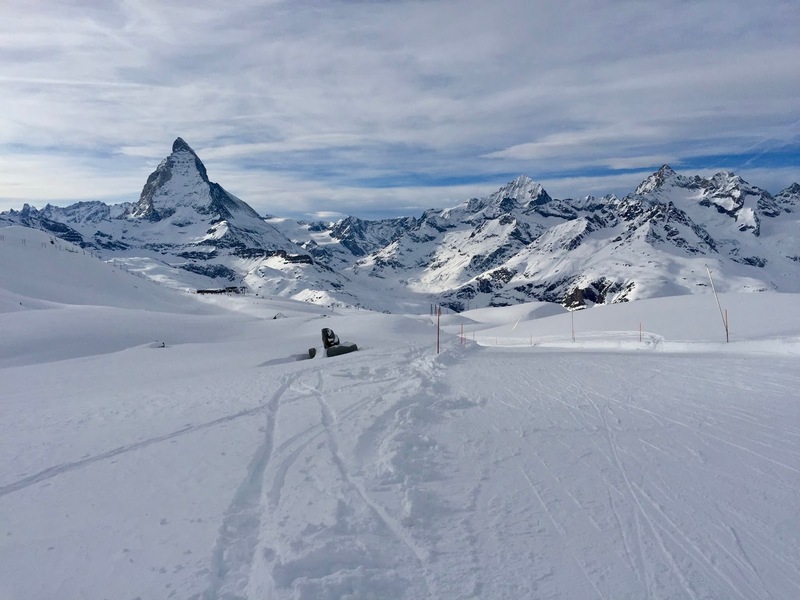 It is one of the world’s biggest ski areas with the added bonuses of Matterhorn gazing, gourmet mountain restaurants, an eventful Alpine history, a good snow quality and an Italian-Swiss mash-up (linked Swiss-Italian ski areas). 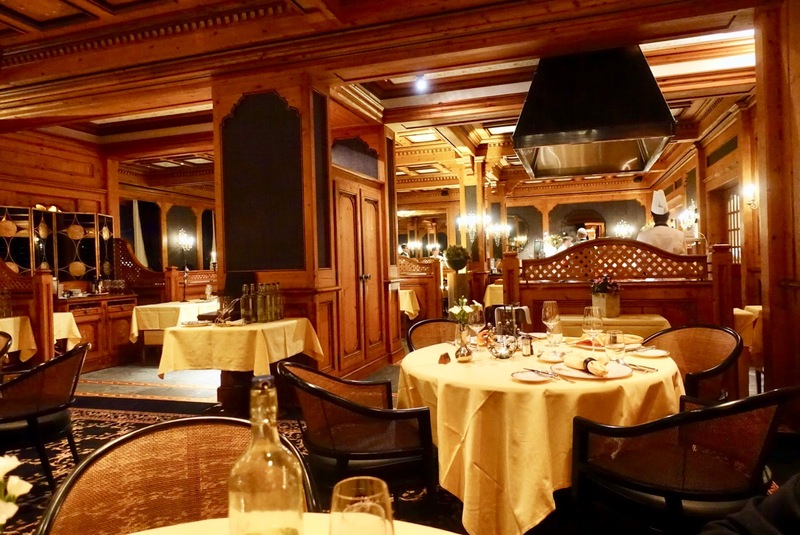 I would return in a heartbeat and I would once again choose the splendid Riffelalp Hotel, one of the best places to stay in Zermatt and also the highest five-star hotel in Europe.